Ask a Question. At-the-Doll-House has been asked dollhouse related questions occasionally. Sometimes we know the answer and sometimes we do not. But rather than leave these folk with no answer we thought we would provide a way for individuals to express what they are wanting to know. And receive an intelligent reply back. Your Question. Do you have a dollhouse related question to ask? If so simply fill out the form below and we will try to find you the answer. 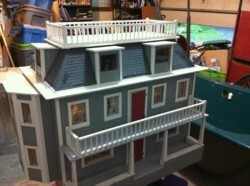 If we can not however another dollhouse enthusiast may be able to. So give it a try. You may find the answer you seek as you ask a question at the dollhouse. By the way no question is stupid or dumb or unimportant. If it is important to you, it is important to us. Also you will find any current question asked, using the form provided on this page, featured on our minis blog. Your Answer. If you feel you have the answer to any question featured here we have a place for you to enter your info too. Simply click here to submit your own answer. Be sure to address the individual and topic to which you are supplying the information to. Do you have a Dollhouse Related Question? Share your dollhouse need or question here ..
Where can I get a wooden Barbie Doll House already made? Could you give me some advice? How to revamp lower and upper kitchen units which includes a cooker and sink? I would like to give them a more modern look. The lower sets are mahogany and the upper sets are white. Could anyone help me? Thank you for any advice you can give me. So sorry it has taken me some time to reply to you. 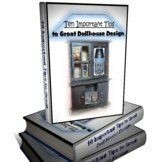 Then there are numerous other books dealing with building your own dollhouse furniture as well. Do a search online you should find a great selection. Also I have added your question to this page. So someone else may share their ideas with you also. Best of success as you venture into this wonderful project. Found your site online. Loved reading your story about how you came to this niche. Wonderful. Great that you can make a living writing about your childhood passion for dolls! 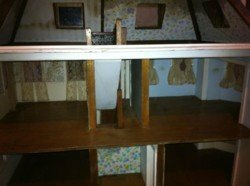 I have two dollhouses that I want to know more about and possibly sell. I am including some pictures. How would you find out more about them? Where might I connect with local folks who have interest in restoration? I'm in upstate NY near Saratoga Springs. The family that had them mentioned they were 60+ years old made by one of the fathers. Thanks for any advice you can give. Pictures are from one house. 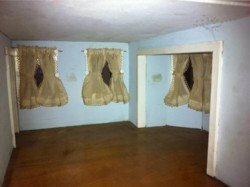 Unfortunately I am not familiar with every dollhouse out there but maybe the first step you should take is talking with locals where you obtained these dollhouses. Older people love talking about the history of areas at times if you can find the right person. And if you want to part with them EBay may be the way to go. If you wanted to restore them first may be that would add to their value. Ladies groups might get you some enthusiastic volunteers to restore and upscale the houses. That's all I can advise at this time however. Great Success and Good Hunting. Begin any creative project with great information. You can not lose if you have Thee Best Resources. Hi there Lois from Michael from Riverview! hehe...Just touching base after getting some mails from you and the business lately. BTW...belated Happy New Year! hehe...better late than never but I trust 2013 will be a good year for you and the business as well. Lois, would like your opinion on something: For the last few years, I've been working on a mini project that I'd like to take to a higher level, if possible. What I do is this: Since I have some graphic design skills, I make stained glass drawings, suncatchers, etc. in the program and then print them out on a clear plastic. All sizes, all scales. Then, you could cut out the design from the plastic and pop them into a mini dollhouse window! This is to imitate what you would normally see in your house or mine, which is a suncatcher or a stained glass effect for the front doors or windows, etc. So, that's what I've been playing with and I'd like to know maybe what to do from here, if possible. I can send you some samples via snail mail, and I even have a BEFORE and AFTER window graphic that I can send via email as well. I got the window at the Dollar store, printed out a design, and inserted the plastic in. What is nice is that they are all scalable, and you don't have to glue them in...you can use a tad of tape if you like to secure it in and most times, they just pop right in as a sturdy plastic would. 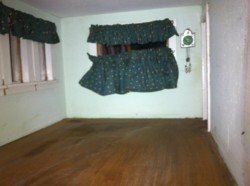 Thus, you are not damaging the real window in the house! So again, that's it! I am 58, and looking for something to do with my graphic skills! I've been doing these for a few years (off and on) but I know that there are a zillion folks in the mini world out there that I hope would think that these are useful and fun. Haven't figured out how to price them yet, they can go individually, or as a sheet...As well, I don't have a site to display them and that would be great if I could get something setup. Lois would be great to get your opinion on this project and what you think. Thank you for taking the time to read and welcome all replies at your leisure. Paying attention to those that know what they are talking about in design is always the best advice. Learn all you can from the best teachers. People who have been there, done that. I was wondering if you could help me. I have a bit of a weird request that I am looking for. I am searching for a gift for my partner, he works in the music industry and is very obsessed with music and items from the 1960s. He once told me that as a child he had a dream of living in a house that looked like a juke box. What I would love to have made for him is a custom doll house that looks like a 1960s juke box on the out side and the rooms inside decorated from the 1960s. I know its a weird request and I have been having such a hard time finding someone who can make this for me. But, I think it would make a very special present. I saw a picture of the Threshold Dollhouse exhibit at Grand Central Station. The one thing that bothers me is how traditional doll houses are limited to what you can do and see from the open back. With something like this where the house is split in half, you can get full access. I envision the back hinged and you can open and close it at will. Have you ever seen a miniature house like what I've described? What an amazing feature you sent me! It really makes a person think "what if that were a smaller setting?" And no I have never seen what you are talking about in a dollhouse structure. But nothing is stopping you from designing the structure you think possible. Experiment and try building it from things like foam core board until you have the design you like. And from there who knows. The best of success to you as you dream and develop. You give your Answer Here ..
Do you think you have an answer for any of these people's questions. If so simply include the person's name in your title when completing the following form we have provided. As well if you wish to contact them privately we have included some emails. Instead of this symbol (@) we have placed an [AT] combination. Just so no one's email will be compromised as they ask a question. Share your info concerning these topics!